Automatic maintenance in Windows 10 – set it and forget it! 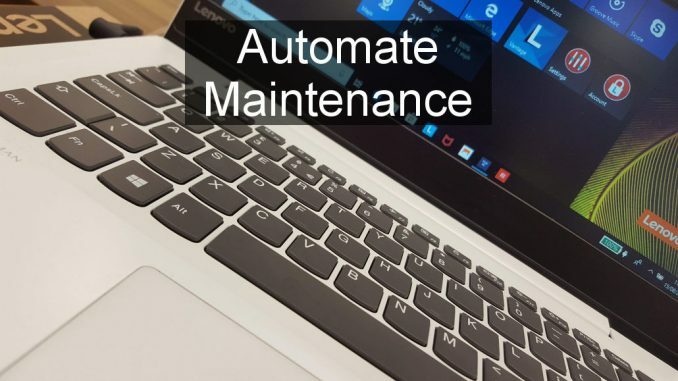 How to automate maintenance tasks in Windows 10 to automatically repair Windows, fix problems, recover disk space, backup and more. It leaves you with more time to work or play on your PC. It is surprising how much time you can waste on maintenance tasks on your PC, like updating Windows, freeing up space by deleting junk, scanning for viruses, backing up and so on. If these tasks could be automated we would no longer have to spend time doing them, which means more time is available for more productive things, or even for leisure activities. Automating tasks also ensures that they get done and they are not forgotten about. It is easy to forget to back up until you have a problem with the disk. It is easy to forget to clean up until the disk is nearly full and warnings begin to appear on the screen. It is easy to forget to optimise the disk until one day we realise that our PC has slowed down. Let’s look at the tasks that can be automated on the PC. For these examples I will be using Windows 10, however, some are also in Windows 7. Windows can run many maintenance tasks automatically and these include software updates, security scans, system diagnostics and more. Is it set to do these? When? Check the schedule and customise it. Click Change automatic maintenance settings in the search results. These settings are in Control Panel > Security and Maintenance > Maintenance > Change maintenance settings. If the PC is powered on and doing nothing or if it has been put into sleep mode, the maintenance tasks run automatically at the set time. The PC cannot power itself on, but it can wake from sleep, so don’t shut down, click Sleep instead, then the PC will be woken and put back to sleep when the tasks have finished. File History is a very simple utility built into Windows 10 that backs up your files and it works automatically once it has been set up. It is not a complete backup of the whole disk drive, and it is a backup of selected folders, the places where you store documents, photos, videos, music, contacts and so on. Everything that is important. It saves copies of these files on an external USB drive and if the PC’s internal drive or the computer fails, your files can still be recovered from the USB drive. It also saves versions of files so you could recover a previous version of a document or photo from a month ago for example. 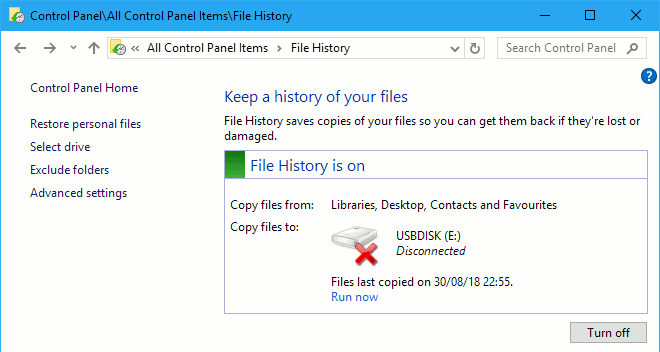 File History is in the Control Panel and also in Windows Settings. File History keeps multiple versions of files that often change and it is these versions that removed after the set time period. If there is only one version of a file, it is kept. To see the settings in the Windows 10 Settings app, press Windows+I to open Settings, click Update & Security, click Backup on the left. Turn on the switch to automatically back up your files and click More options. The Settings app lists the folders that are backed up, which is almost everything in C:\Users\YourName. You can add other folders or exclude ones you don’t want to back up. Third party backup software has scheduling options. Read There are 5 types of backup. Which are you using on your PC? There was a time when a disk defragmenter utility had to be manually run on the PC in order to optimise the disk by defragmenting files. Those days are long gone and two things have made life easier. One is solid state drives which do not need defragmenting. The other is automatic defragmentation for those people that still have hard disk drives. You might want to check out Do you still need a disk defragmenter for Windows PCs in 2018? Disk defragging is automatic, but you might want to tweak the settings to change the schedule. 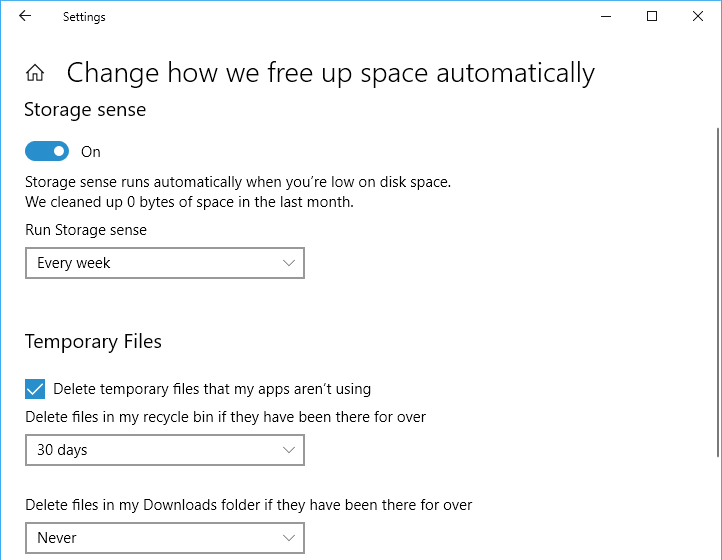 Storage sense is a disk clean-up service in Windows 10 that deletes unnecessary files to free up disk space and keep the drive running smoothly. It runs automatically, although the best schedule may not be set, so it is a good idea to check it and set it. It does not actually say what files is removes, but at a guess, I would say it basically does what the Disk Clean-up utility does on Start > Windows Administrative Tools. So temporary internet files, recycle bin, thumbnails, temporary files and so on. Nothing you will miss. Storage sense runs on a schedule and it can be every day, every week, every month or when Windows decides. I find a weekly schedule is best. Choose how long to keep files in the recycle bin. They can be automatically deleted after a certain number of days and I keep mine for 30 days. The problem here is how to stop them! 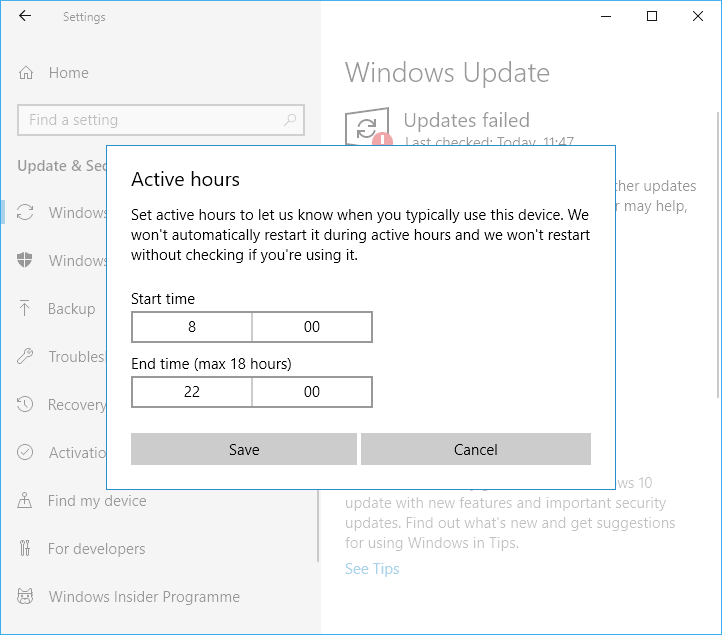 Windows Update is automatic and there is little you can do about it, however, go to Settings > Windows Update and click Change active hours. These are hours during which Windows will not install updates. Outside of these hours, Windows will automatically install any updates it has downloaded. 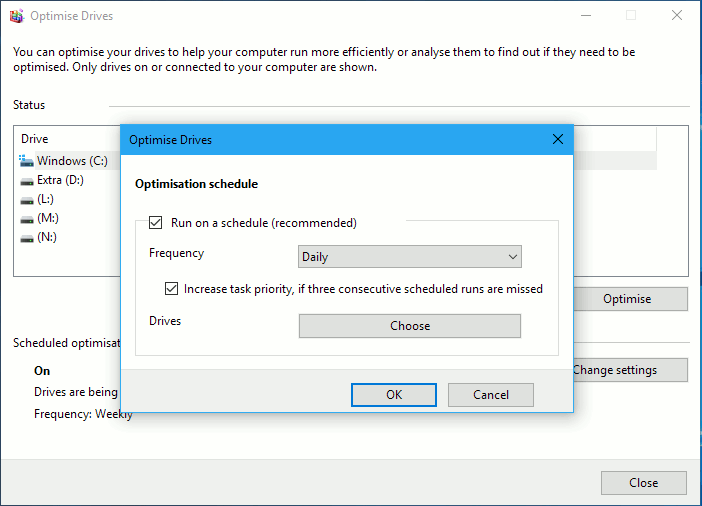 Click Advanced options in Windows Update and there is a switch to automatically get updates for other Microsoft products, which is useful if you have them, such as Office applications. Windows Defender is bundled with Windows 10 and it does a reasonably good job of keeping viruses and other types of malware out of the computer. It should run scans automatically, but it is best to check that it is and also you might want to customise the schedule. The problem is that scheduled scans are nowhere to be found in Windows Defender. 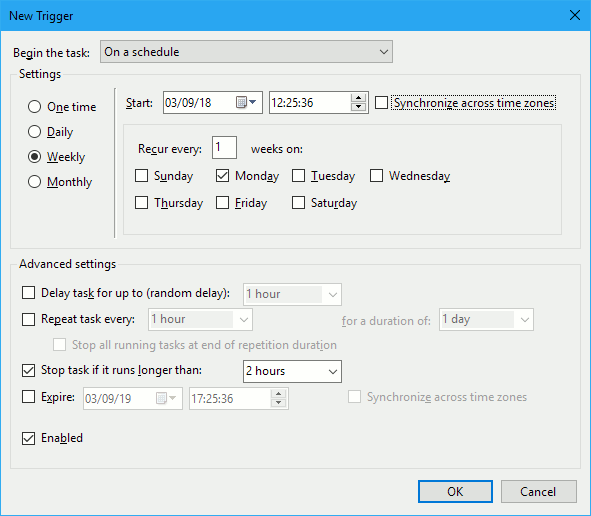 It actually uses the Windows task scheduler to run the scans, which makes it a bit awkward to use, but once you know how it works, it is straightforward. 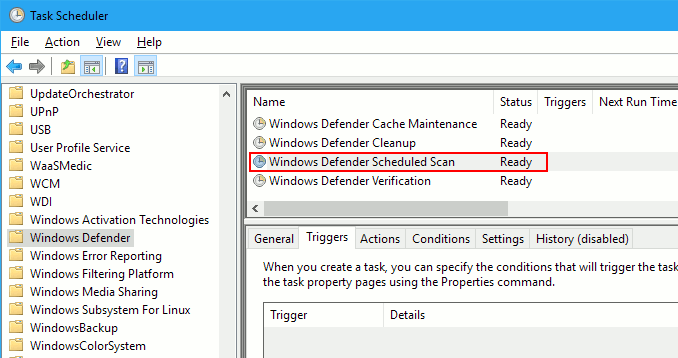 You can now choose when to automatically run a Windows Defender scan for malware. It is a good idea to run weekly scans and this can be on any day you choose. Just set the options and click OK, OK and close Task Scheduler. At the top is Begin the task: and On a schedule is fine, but if you prefer there are options to scan at log in, on startup, whenever the computer is idle and so on. It all happens automatically once set.